The consistent appearance and understanding of an organisations' brand enhances its credibility and its professionalism both inside and out. 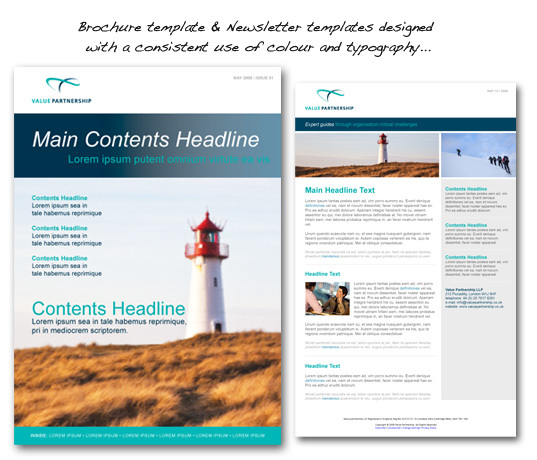 A brand style guide may be used by your company to order and define your brand graphics (both inside and outside your organisation). While your company's brand graphics might include: a company logo, colour palette, font/s, an image library (such as illustration and/or photography) and beyond. We create company brand style guides to set up usage and limitation rules to help your brand to flourish and grow. 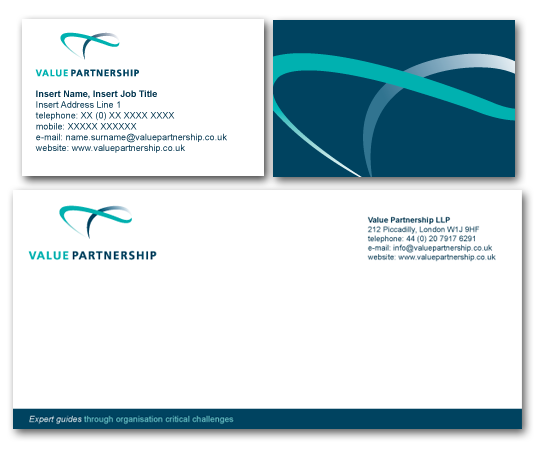 Value Partnership are a successful business consultancy with clients and consultants operating globally. 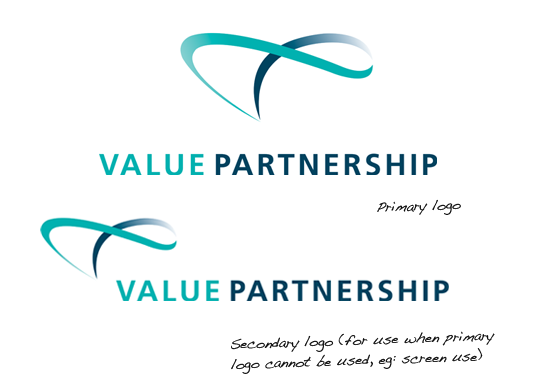 After nearly a decade of trading, Mavo were commissioned by Value Partnership to help re-consider and ultimately re-design their brand. And to help consolidate their image (and its application) throughout the company. Their brand style guide included: an analysis of the company's values and ethos (for both internal and external use); the design and artwork set-up of a vast range of branded media; a brand style guide (booklet) together with detailed rules for brand consistency and growth. Below is a selection of branded media that were designed and developed through the process. Visit the Mavo portfolio for further information about this and other branding projects.